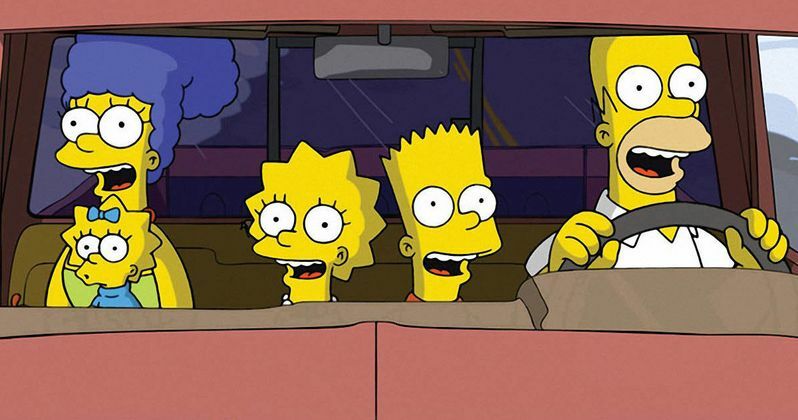 The Simpsons recently aired their landmark 600th episode during the course of the 28th season of the show. FXX is currently planning to air a marathon of every single episode of the show, but there is one question on the minds of many fans that doesn't have anything to do with the show; is The Simpsons Movie 2 ever going to get made? The answer is maybe. Longtime Simpsons producer James L. Brooks recently did an interview with LRM and the subject of a sequel to The Simpsons Movie came up as it often does. His answer wasn't overly promising, but he wouldn't rule out the possibility of a Simpsons Movie 2 happening. Here is what he had to say. "Fox very much wants us to do another one, and maybe we will and maybe we won't-that's where it is. How do we divide our labors, and do we believe in the idea we have? We may go into a more active exploration of a second movie soon." The Simpsons Movie made $527 million worldwide working from a comparatively small production budget of just $75 million. So, when James L. Brooks says that Fox wants to do another one, that isn't at all surprising. But he also makes a point that the people that work on the movie would also have to work on the show simultaneously, making things difficult for those involved. He also implies that they may already have an idea for the movie, saying "do we believe in the idea we have?" Given that the first Simpsons movie came out nearly ten years ago, it wouldn't be hard to imagine another idea has been kicked around in the time since. Over the summer, Fox held a panel for The Simpsons at San Diego Comic-Con and not surprisingly, the subject of The Simpsons Movie 2 also came up. At the panel, Al Jean addressed the possibility of doing a sequel and stated that it would only happen if they felt it could be genuinely good and that they wouldn't do it just to cash in. Here is what he had to say. "We talk about it, but if we do it we only want to do it if it's going to be really good. We would never do it just to cash in, so if it comes out, it's because we believe in it." Not only did The Simpsons Movie make a lot of money for Fox at the box office, but it was also very well-liked by both fans and critics. The movie currently holds an 88 percent approval rating from critics on Rotten Tomatoes and a 77 percent audience score. So it is understandable that Al Jean and the rest of the team behind The Simpsons wouldn't want to do The Simpsons Movie 2 unless it could be at least as good. We'll have to wait and see if it happens, but at least the door isn't closed completely. That being said, it doesn't sound like it will be happening anytime soon.